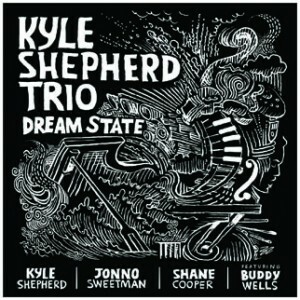 Kyle Shepherd Trio’s album “Dream State”, featuring guest artist Buddy Wells. This CD from Sheer Sound has again brought its main artist, pianist Kyle Shepherd, closer to the edge of innovative, spiritually-influenced compositions that are ever evolving during his still young musical journey. 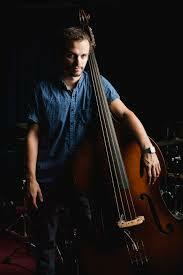 ‘Dream State’ boasts two discs of 21 songs, all composed by this 2014 Standard Bank Young Artist of the Year for Jazz. Kyle loves to quote from the late saxophonist and mentor, Zim Ngqawana, “The music must lead us towards ourselves. 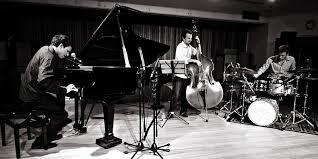 ” This trio featuring drummer Jonno Sweetman, and double bassist Shane Cooper (with awards-most recently from SAMRO who bestowed his debut “Oscillations” album as best Jazz album of 2014), celebrate their remarkable five years together. Another CapeTownian, the popular tenor saxman Buddy Wells, features handsomely where the ghoema sounds swing their magic. There is nothing staid in these albums; just when you identify with the familiar, the trio takes our mind on another journey of sometimes discordant, sometimes healing sounds, changing chord structures, and erratic rhythms. The songs evoke, jostle, steer, and placate. Out of discomfort comes a peace. Just listen meditatively, feel the flow, be patient, and then arrive at a state of oneness, of balance, having been tunefully connected – as the band is connected with each other in superb synchronicity. This is what ‘Dream State’ portrays. 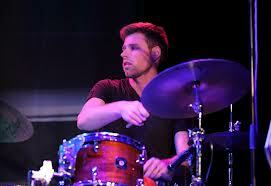 Kyle refers to advice from Abdullah Ibrahim, another mentor: “Abdullah said create music significant to YOU. Then if people are moved by the music, that’s all I ask for. It just takes hard work and introspection. “ How so! For those who want to cut straight to the Cape ghoema rhythms and familiar melodies, several tracks will welcome you: In Disc 1: “Xamissa”, “Our House, Our Rules”, and “Siqhagamshelane Sonke” with its 1-3-4 chords and Buddy’s sax. In Disc 2: “Xahuri”. For the meditative and more ethereal ballads, try in Disc 1: “Transcendence” with Buddy’s prayerful sax solo, and “The Seeker” which speaks for itself. In Disc 2: “The Painter”, “Fatherless”, and “Rock Art”. Jonno’s drums always complement without dominating. Kyle’s one note drill in several tracks sets what might appear as a monotonous pace until he matches this foundation with chords which swing into his usual Cape jive, while the drums and bass get equally excited with this conversation. Listen carefully to ‘Re-invention’. It’s faultless. This disc starts out with a very uncharacteristic Shepherd melody in “Zikr City – Desert Monk” in a minor key; yet it moves whimsically through what sounds like cityscapes and bustle; then into a quiet peace of a void – a soundless desert. ‘Family Love’ holds a special liking to my ears – Buddy’s tenor sax melodically takes one on a saunter on a cloudy day through the park, and breaks into a Cape jive of celebration. 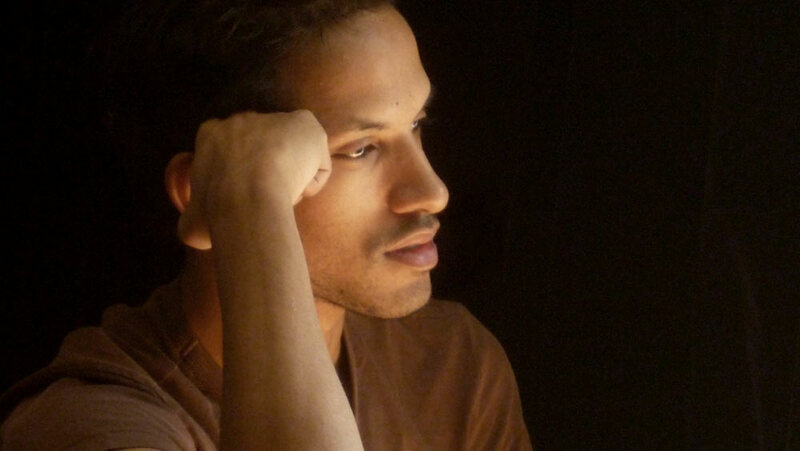 “Flying without Leaving the Ground” offers a chatty bass solo with an uncertain piano. The bass keeps you grounded and keeps you there during the subsequent crescendos of the piano and drums as you gradually experience a spiritual liftoff. This is appropriately followed by “Transcendence”. Nirvana is somehow near….but not quite….. If you haven’t left the ground yet, the second disc starts out with an ominous directive, almost funereal, about what appears to me to be stray bullets flying about the Cape Flats. Appropriately titled, “Cape Flats”, the underlying rumblings from Shane’s double bass and Jonno’s larger drums, and slowly paced piano chords suggest discomfort about hidden realities faced by dwellers. This shifts from [maybe] an out-of-harms’-way feeling into the next piece, “Black Star, Unsung Hero”, almost as though a young lad or lass managed to escape those bullets and rise above the violence to effect peaceful surprises on all. This is one of the more hauntingly beautiful songs of the album. The placement of songs on the disc cleverly conveys the merging of themes. After a serious and unnerving dialogue about “Rituals”, where Shane’s bass cleverly mimics Kyle’s left hand walk-abouts, the listener finds relief with “The Painter” with Buddy’s melodic sax and an almost rock-ish roll from the drums. I see color and texture evolve, resting the eyes, yet tickling with aural fantasies. It’s for Melissa. But just after settling back into a meditative pose, “Doekom” startles with a frantic, atonal whine of confusion. I found this the least pleasant song on the track, probably because of its heavy left hand, again warning of the ominous. Indeed, was it a “Muslim witch doctor’s” prescription for protection from gangsterous earthlings? One wonders whether the doekom was protective or murderous, a karmic magic potion or….just some profound spiritual realism? An impressive bass keeps up a scary pace. The way Kyle breaks up chords harmonically allows one to anticipate and sing along, while not knowing the song! And even if the song seems uncomfortable, it ends up on a cheerful resolution. I smile. A characteristic Kyle ‘selfie’ seems to be heard in “Fatherless”, perhaps a bit autobiographical, with clear chordal statements. “Senegal” has a jumpy, Arab flavour of minor chords. I picture impressive derbies of horses in colourful regalia kicking up dust. This is followed by “Rock Art”, another mercurial but melodic piece, in memory of the indigenous peoples of South Africa. It suggests we meditate on the land’s ancestral wisdom. The final track,”Ahimsa”, if you managed to get through the previous 20 without exhaustion, is a beautifully crafted tribute to two gurus for peace – Gandhi and Mandela. It is a befitting closure to the ‘Dream State’ as well.